In 2014 the world was football for the 20th consecutive time. Especially for all fans of the most popular game in Bulgaria, Mate Madia organized a real city of football at the back of the National Palace of Culture. A total area of 1900 square meters, a tent of 300 square meters for those who wanted to watch the matches on big screen, a video wall of 12 square meters, 10 smaller screens, and lots of fun and prizes provided by the partners – the heart of Sofia was football for a month. The result – more than 1000 people every day spending time at Ariana Mondial Camp and thousands of liters beer consumed. 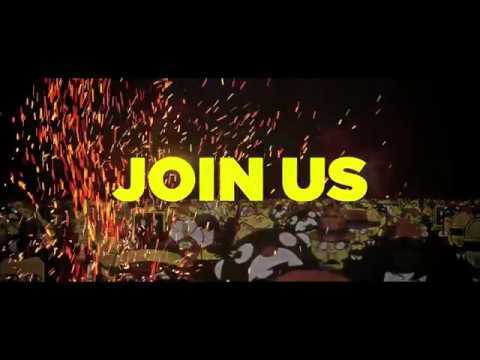 Bulgaria – with a special event in S*Bar. The first two models – Y520 & Y720, were presented by two of Bulgaria’s most famous gamers – NoThx and StakimaN. They tried their strength on one of the most famous games of all times – DOOM’s latest version. The guests had the chance to watch live, during the battle, the dynamics of the main features like temperature, CPU, graphics, RAM etc. This is the first time since Lenovo’s presence on the Bulgarian market the company has invested in such a huge local campaign. Actors and real-life couples take part in the project. Alen and Bobby are one of them. They epitomize the dreamlike relationship in the video. Another famous couple that participates in the add is Duli and Kukushev – irreplaceable part of RDMK band. The beautiful frames are work of the famous Bulgarian cameraman Blagoy Momchilov. 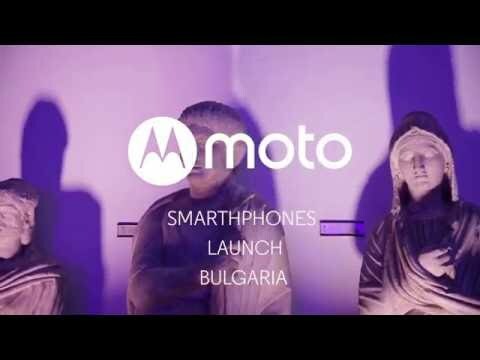 On April 20th 2015 Lenovo marked Motorola’s official return in Bulgaria with a glamorous event in the National Museum of History. With a new vision, new name and ambition for leading position on Bulgarian market MOTO was welcomed by more than 150 guests and journalists. The current MOTO modules premiere was preceded by intriguing exhibition presenting 15 emblematic for their time models and retrospection recalling the trends in the 80s and 90s in both fashion and technologies. The greatest interest gained Motorola DynaTac 8000x – the first user’s cell phone in the world, and Motorola Razr which is the best selling flip phone in the world with 130 sold units worldwide. Motorola, The Bulgarian Rhythmic Gymnastics Federation’s official partner, created a limited-edition luxury calendar of the American brand in Bulgaria. On the pages of this one-of-a-kind calendar shine the individual gymnasts of the National team – Nevyana Vladinova, Katrin Taseva, Petya Borisova, Boryana Kaleyn and Erika Zafirova. The ensemble – Simona Dyankova, Laura Traats, Elena Bineva, Teodora Alexandrova and Madlen Radukanova – on the cover. The substitutes Stephanie Kiryakova, Kameliya Stoilova and Anna Shivacheva are also captured on the pages of the luxuryedition. The team behind the project is well-known among the Bulgarian highlife. The photos are work of Valentin Danevski together with Dilyana Florentin. Stylist is Huben Hubenov and the make-up was done by Slav. The famous Bulgarian coiffeur Georgi Petkov made the hairstyles, the elegant choreography was created by Margarita Budinova and Elitsa Pavlikenova. The whole creative of the beautiful calendar is due to Motorola’s PR agency – Mate Bulgaria. The visitors not only witnessed the first public live crash test but also had the opportunity to get to know the specs and features of the Lenovo laptops. Those who wanted to buy a ThinkPad were given a special discount and expert advice by the specialists of the №1 PC producer in the world.